Hi! Susan Mermaid here! First, a moment of truth: it’s been a couple of years since my last post for my beloved Mermaids in our always-sunny lagoon. I’m making time today, though, to slip on my fins again and take a dip in these balmy waters. Isn’t it wonderful the Mermaids chose such a lovely tropical hangout for their blog? Our topic today: What are you watching this summer? 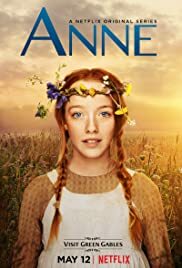 I’ve been binging on one particular show since June (well, after ANNE WITH AN ‘E’ finished). Every chance I have (and there are plenty of chances with three months of vacation), I queue up another episode. It’s not the wrestling (GLOW) or the wars between royals (GoT), or even seductive mystery sleuth (VERONICA MARS). There are lots of horses in this program (no, not a documentary series…). Lots and lots of horses. 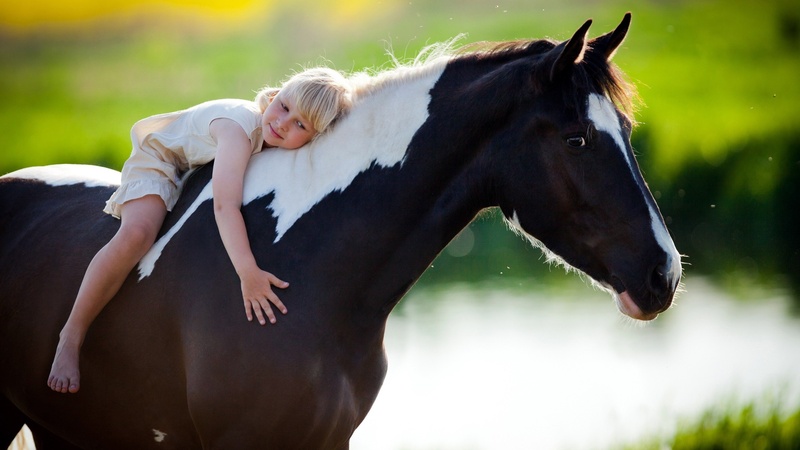 A brief digression here: I loved horses when I was younger. What little girl didn’t crave her very own Breyer horse, her own flock of plastic ponies to train and groom and stable? I did. My family, however, being poor as mice, didn’t have $$$ for horses, either real or pretend. My friend, Maureen, did, however. We both “owned” our favorites in her “stable,” and our horses romped across her bedroom floor many afternoons. We might take a break to play a card game (War was a favorite), but mostly it was horses. What a thrill! One at a time, we climbed the fence so we could scramble on top of this beast (my mother’s words running in the back of my mind: don’t go playing around up at that barn! And stay away from that horse!). Holding the rein, I steered the animal this way and that, knowing my legs were too short and barely strong enough to hold on. I didn’t know what I was doing. Mostly, I sat. Perhaps the young woman who owned the horse was giving it verbal cues and all I had to do was concentrate on not falling off. I never told. And, if my mother knew (she probably did), she never let on. HEARTLAND… The longest-running one-hour drama on Canadian television has ten (TEN!) seasons to feast on. They’re doing Season Eleven now! Laugh if you want, this is my binge jam for 2017. I find myself marveling at the intricacies of Mallory’s hair. Her parents are always on the road for Dad’s country singing career, so who fixes her hair in the morning? How do her braids stay put with all that shoveling of manure? I never see the characters sweat. They might be feeling uppity which boy is taking them to the dance. Or, they might not have gotten up the courage to apply to vet school. But, when these folks have a problem to solve, they don’t just lie around and engage in fruitless mental gymnastics. Nope, they saddle up and ride out to look at the mountain scenery and Think It Over. Somehow, they nearly always manage to work it all out. I like that approach. Don’t you? My practical questions are many. What about the feeding of these equine heartthrobs? I looked it up (and every other question that occurs to me as I watch one episode after another.) A horse needs to eat 1 to 2 percent of its body weight every day in hay or forage. If the beastie is let out in a healthy field to forage, that’s one thing. Otherwise, it needs a quarter to a half bale of hay. Every. Single Day. And the poor horse-loving dopes on Heartland still need to consider additional feed (Grain? Pellets or cubes? Quick, let’s look that up, too!). Note to self: you’ve never seen them write a check to Maggie’s for all the supplies they pick up on their trips into town to Stock Up. Scene-stealing vistas of the Canadian Rockies give me a break from all that equine riding, roping, and stall-cleaning activity (did I say the horses are pretty?). Amy and Ty are a shoo-in for Best Couple, Mallory wins for Cute While Annoying – or maybe it’s Lou. Jack is Best Dad – and he’s conquering his fear and flying to Paris to woo his beloved, Lisa, away from her evil ex-husband! Other questions: Is Katie the cutest baby ever? Or not? And when will we see the house Miss Bell gave Lou and Peter? How will it be refurbished? Will Ashley ever show up again (hope not). Yup. This show has lasso’d my heart. I’m on Season Five and doing all the watching I can before September 8, when my school librarian job starts again. Amy just made a Significant Discovery, and Tim is falling for Miranda! Excuse me, while I watch the rest of the episode. Susan, thank you for this trip down memory lane. As a little girl I was completely horse crazy too. Dana, thank you for the kind words! I wonder, after all these years, if I was horse crazy because she was – but I really did like that horse. Thank you for the smile and for this entertaining post. So happy to have us all blogging again. Happy writing, my friend, and happy back to school on September 8! Man, I would have loved to have had you as my school librarian. Hope the kids know how lucky they are.